When thinking about archaeological sites, we tend to conceive of them as dead silent – empty ruins left by past cultures. But this isn’t how the people who lived in and used these sites would have experienced them. Residents would have heard others speaking and laughing, babies crying, people working, dogs barking and music such as drumming. These sounds could be heard from close by, and perhaps coming from distant locations as well. Putting sound back into the archaeological landscape is an important part of understanding how people lived, what they valued, how they shaped their identities and experienced the world and their place in it. This growing field is called acoustic archaeology, or archaeoacoustics. 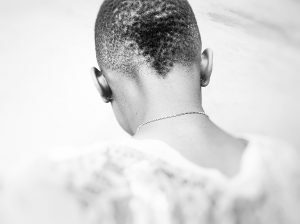 By considering the sounds heard by people moving through the landscape, we’re able to more fully understand their culture, and thus better relate to them as human beings. We recently modeled an ancient soundscape at the landscape level for the first time. 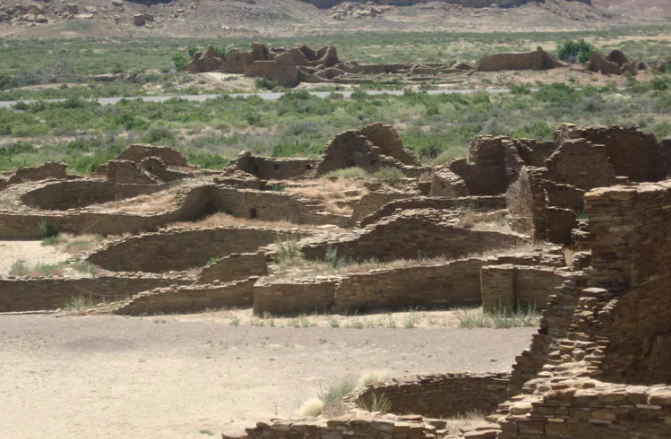 What can our ears tell us about the way the Anasazi, or Ancestral Puebloan, people lived in New Mexico’s Chaco Canyon more than a thousand years ago? Can you hear that? Photo by Joel Mwakasege on Unsplash. Chaco Canyon was the center of ancestral Puebloan civilization. It’s famous for its great houses – large, multistoried structures, some the size of football fields – built and used from approximately A.D. 850-1150. Archaeologists have studied how the Ancestral Puebloans built the structures of Chaco Canyon and placed them in relation to each other and to astronomical alignments. To add a new dimension to our understanding of this time and place, we investigated how sounds were experienced at these sites. We wanted to know how a listener would have experienced a sound from a specific distance away from whatever was producing it. To explore sound physics and its application to archaeology, we first developed an Excel spreadsheet. Our calculations described linear sound profiles, similar to a line-of-sight analysis; this took into account a straight path between the person or instrument making the noise and the person hearing it. However, this approach was limited because the results applied to only one listener standing at a very specific location a set distance away. Our research truly blossomed when we wondered if we could apply the same sound physics calculations to an entire landscape simultaneously. We turned to a type of computer program called Geographic Information Systems (GIS) that allows us to model the world in three dimensions. The software package we used, ESRI’s ArcGIS, offers anyone the option to create customized tools, such as the Soundshed Analysis Tool we created, to do calculations or create geographical data and images. The Soundshed Analysis Tool is derived from an earlier modeling script “SPreAD-GIS” developed by environmental scientist Sarah Reed to measure the impact of noise on natural environments, such as national forests. That tool was itself adapted from SPreAD, or “the System for the Prediction of Acoustic Detectability,” a method the U.S. Forest Service devised in 1980 to predict the impact of noise on outdoor recreation. The Soundshed Analysis Tool requires seven input variables, a study location and elevation data. Variables include the sound source height, frequency of the sound source, sound pressure level of the source, the measurement distance from the source, air temperature, relative humidity and the ambient sound pressure level of the study location. We gathered this information from a variety of sources: open-source elevation data, archaeological research, paleoclimatological research and historical climate data. We also gathered from the relevant literature the decibel levels of crowds, individuals and the conch trumpet instrument ancestral Puebloans used. Once the input variables are entered, it takes the Soundshed tool less than 10 minutes to crunch through this complex math for every point on the landscape within two miles of the spot where the sound is produced. Our model then creates images that show where and how sound spreads across the landscape. This gives us a way to visualize the sounds people would have experienced as they moved through the landscape, going about their day. We focused on culturally relevant sounds and how they would have spread throughout the Chacoan landscape. These could be the voices of people, the sound of domestic animals like dogs and turkeys, the creation of stone tools or the sound of musical instruments. Within the American Southwest, these instruments include bone flutes, whistles, foot drums, copper bells and conch shell trumpets. Soundshed maps reveal that a person standing at either of two neighboring great houses, Pueblo Alto and New Alto, located approximately 500 feet from each other, can hear a person shouting or speaking to a group at the other site. The patterns differ between the two maps because the terrain differs slightly between the two locations, and because the structures themselves block sound. A third map models someone blowing a conch shell trumpet from immediately north of Casa Rinconada, a large ceremonial structure, at dawn on the summer solstice. The sound spreads throughout the canyon, traveling to a number of mesa top shrines that often marked sacred locations and high points on the landscape. Perhaps audibility influenced the positioning of the shrines so ritual events occurring at Casa Rinconada could be heard? Investigating how sound interacts with the built environment can reveal details about the importance of ritual. It can show us if sound was considered important by the ancestral Puebloan people, especially if shrines are consistently found in locations where people could hear rituals that were performed at a distance. Our research presents a first step in the archaeoacoustic study of landscapes. Now we hope to expand our research by visiting Chaco Canyon to perform sound studies and record measurements in the field. We also plan to apply our model to other cultures, geographic areas and time periods. Acoustic studies combined with other archaeological research contribute to a more holistic understanding of past cultures. The field has grown as more researchers expand their multidisciplinary pursuits, combining other fields of study with their archaeological approach. For example, advances in geography, physics, psychology, computer programming and other fields made our acoustic study possible. Previously, the study of archaeoacoustics at the landscape level had been out of reach due to technological limitations and a lack of tools. It is only now that computer processing power has caught up to our dreams. Modeling tools like this one also offer the added benefit of allowing us to study what people heard at a site in any place or time without the need to travel to those locations. Instead, researchers can apply existing data found through a literature search, or measure the sound levels of noises or musical instruments to use as model inputs. This opens up new areas to be explored and studied. Sound modeling can help researchers ask questions, and help everyone understand and relate to the ways that other people experienced their world. A sound model opens a new door into our understanding of the past.